Following another GFM 2IS down SFU today in the WMX parking lot. wow.. seems like there's a lot of IS's at SFU..
That would prob be me! Saw a 2IS turning onto Galglardi, it was SGM and had exhaust. Then I saw another white 2IS, shortly after. and yea mlee ... were @ at bby campus ... you should join us! spotted a white 1IS i'm guessing it's a 01 or 02 heading east on lougheed today..
then i saw a black 2GS, no DRL and rims, didn't see what kind of rims it was..
got so sick of the traffic jam going on to port mann bridge, I turned back and went home instead of the evening lecture.. silver(?) 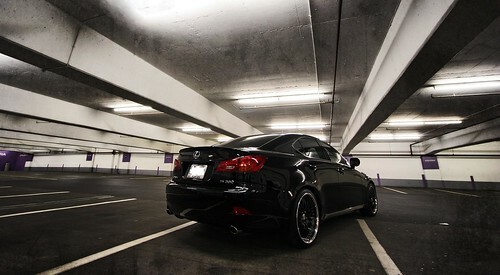 2IS 250AWD in my parkade (The Springs), are you on here? spotted a white RX330/350 with Toyota JDM lip kit in coquitlam today! Spotted SGM 2IS going up SFU today, I was coming down! 1IS Spectra Blue with HIDs and yellow fogs and a rear lip spoiler going up Laurel St.